Natural gas pipelines in Claysville, Pennsylvania. But that last statement highlights the crux of the problem: The customers are the ones currently paying for lost gas — we’re buying it, essentially. 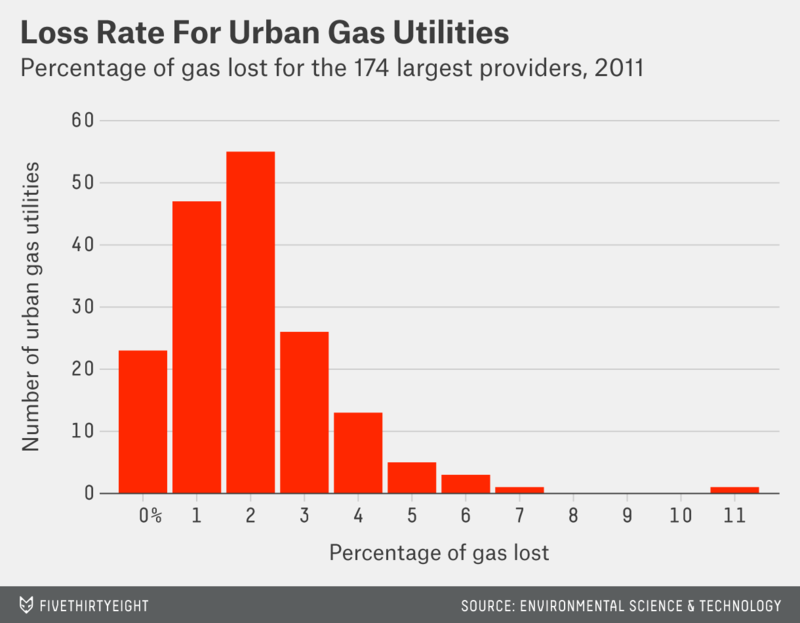 In fact, if a municipal utility reduced pipeline leakage, it would see no increase in revenue because the cost of the lost gas was already being recovered through fees paid by consumers. In 2012, President Obama signed a Pipeline Safety Act that called for the federal Department of Transportation to inventory cast iron pipelines in each state and to monitor states’ progress on replacing them. But the states have a long way to go. A 2011 report by the DOT office that tracks pipelines (the PHSMA) found that 80 percent of cast-iron pipes are located in just 10 states, but most of these states are replacing cast iron at a glacial pace, and some have no replacement program at all. Pennsylvania, for example, is scheduled to replace its last cast-iron pipe in the year 2111. CORRECTION (Oct. 21, 3:15 p.m.): A previous version of this article incorrectly stated that reducing pipeline leakage would lead to a loss of revenue for municipal utilities. A typical utility company would see no increase in revenue from reducing pipeline leakage, nor would it see a decrease in revenue.